Ideology Cellars, a boutique winery located in the Oak Knoll District of Napa Valley, was founded by the Williamson Family in 2005. We endeavor to craft small lot wines of the highest quality and consistency vintage to vintage. Our portfolio includes Estate and Reserve Cabernet Sauvignon, Napa Valley Cabernet Sauvignon and Estate Rosé. The quality of grapes growing on their Estate vineyard was a driving force for owners, Bob and Joni Williamson, to branch off from their custom crush business and focus solely on developing Ideology Cellars. The Estate wines in our portfolio showcase this unique vineyard bordering Dry Creek at the base of the Mayacamas Mountains, which is graced with a rare alluvial fan of well-drained sandy and gravelly loam soils. This special vineyard brings a lushness and complexity to our Estate wines that usually requires blending from various vineyards. Tastings are available by appointment only, 7 days a week at 10:30 am and 1:30 pm. Please call 707-226-2151 to make an appointment. 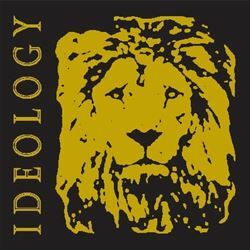 To join the wine club, visit www.ideologycellars.com or call 707-226-2151. Wine Club shipments in April and November. 6 bottles per shipment. 20% discount on wines, complimentary tastings for club member and 2 guests. We appreciate our local residents! Please join us for a complimentary tasting!